Would you like to make your girl's bedroom even more better? One thing I've always admired is how wonderful a girl's bedroom sometimes can be. Growing up I shared my bedroom with my other 2 older sisters and since I'm the youngest after they move out to go College. I was the one left in our room and it's where I've decided to take over and put on wall decorations. While browsing at my favorite website Houzz.com, I came across into this link where shows a very nice and better idea of a girl's bedroom. 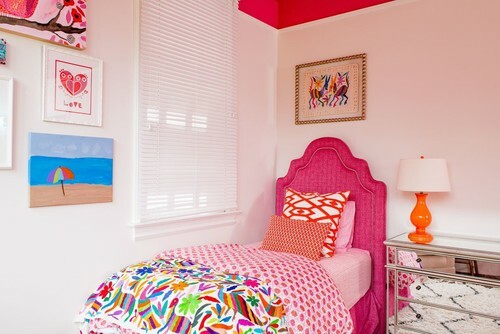 If only we have a little girl, we will definitely transform her room into something like this. A great idea to motivates those who seeks for a better and sophisticated room. I do hope you find this interesting.